Several mountains in the Canadian Rockies tower over Moraine Lake, located in Banff National Park. 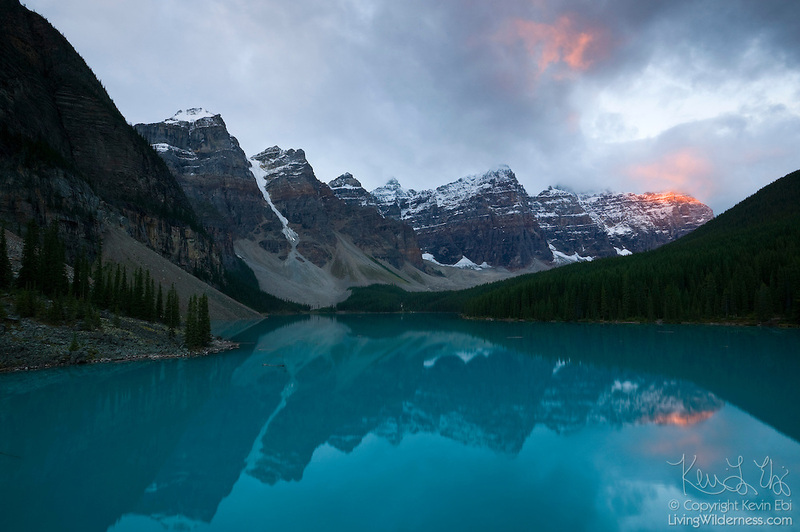 This area is known as the Valley of the Ten Peaks, named for the ten tall mountains at the lake's edge. Moraine Lake has a unique aqua color that results from the silt deposited by glaciers. Copyright 2004 Kevin Ebi/LivingWilderness.com. All rights reserved.